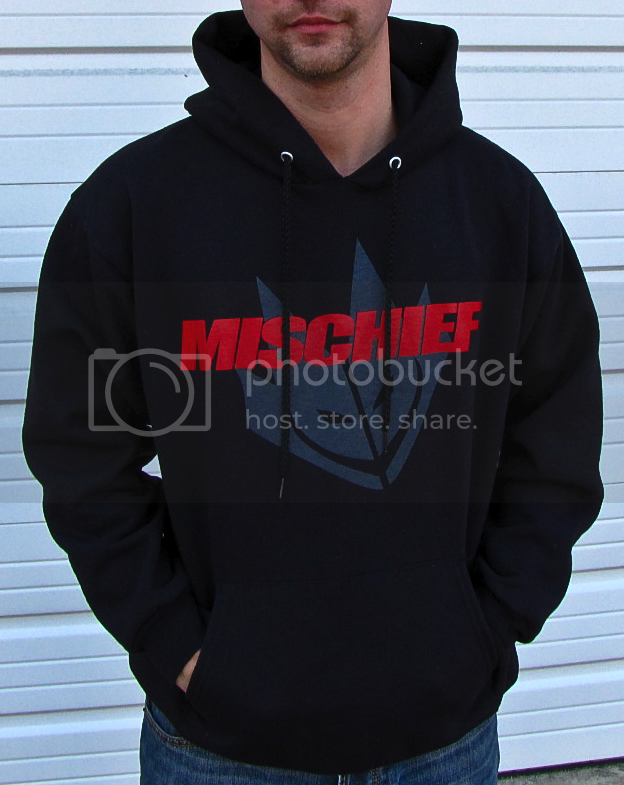 New for 2013 is the Mischief Pullover Hoodie. Available in black only. Polycotton. Graphic measures 12"X9.5". Only doing one run before the Spring. Please allow three weeks for delivery. $10 cheaper if pre-ordered!